Place Brooklyn Bred Pizza Crust on foil lined cookie sheet, spread with butter and pre-bake for 3-4 minutes or until golden brown. Remove from oven. Carefully slide pizza crust onto cutting board with the foil and spread Nutella over crust. Sprinkle with mini marshmallows and return crust to oven. Bake for another 3-4 minutes or until marshmallows are puffed and golden brown to your liking. Remove from oven. Place on a cutting board and cut into heart shapes using a heart-shaped cookie cutter (or simply cut into slices). 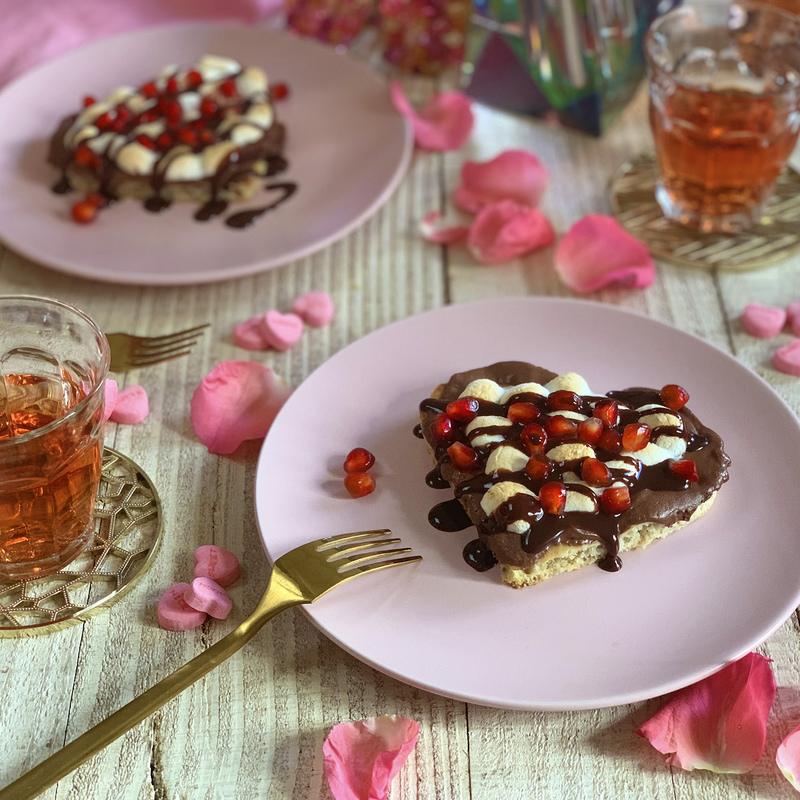 Garnish with chocolate sauce and top with pomegranate arils if using.